When we go to the symphony, one thing that’s certain before anything else is the sound of an oboe playing a tuning note. The note is an “A” on the musical scale, because every stringed instrument has an A string, and every other instrument can play that tone as well. Everyone can hear the oboe and then set the rest of their instruments into tune. That one tone is instrumental (pun intended?) to the success of both each individual and the group together as they turn notes on paper into beautiful music. Whether we are musicians or not, each of us carry some resonant tone within us – the A tone in our hearts. When that note doesn’t sound right, it becomes noticeable to us. We want to find ways to get ourselves in tune. However, I fear that it’s getting harder and harder to find oboists playing a tuning tone. When I look online, I often don’t see people looking to tune others, but each of us trying to play whatever song we can and hoping other people will follow. We try to put our best song forward, but it gets drowned out by so many others trying to do the same thing. It’s no wonder why studies routinely show that social media doesn’t make us happy – I’m not sure anyone likes to hear the noise of a bunch of people playing out-of-tune songs as loudly as possible. It’s noise. And that’s not to say anything about our political discourses, our cultural discourses, or, frankly, any time a group of people seem to get together anymore. A lot of out-of-tune instruments playing their own songs as loudly as possible. I don’t imagine that’s selling a lot of tickets. And so maybe, some of us look to church. We hope for a community of people who are playing together. And at our best, we as pastors and churches are good oboists, playing a weekly tuning note under the direction of the grandest conductor of all. We are playing the symphony of life together, and as we play, we hear the music of the spirit coming forth, bringing new sounds of celebration to the air. And whether you are a new player or have been playing for a long time, that tuning note invites you into the grand symphony and helps you play your part as best you can. However, at our worst, we as pastors and churches can presume to be conductor and tell you precisely how to play your part. We can also think that our instrument is more significant than all the others, and begin to play more loudly and discount other instruments. We can be forceful in our own solos where they shouldn’t be. In short, we too can cause a lot of noise. If that’s happened to you, I’m sorry. We are still learning our instruments, too. So, if there’s one thing I can encourage you to do as our hearts fill with the music of Advent and Christmas, and we may be heading to church again, is to find a community that resonates with your tuning tone. Find pastors and churches who help you hear that tone again amidst the noise. Pastors and churches who aren’t more concerned about how good they sound (or perhaps worse, aren’t more concerned about telling you how poorly you play in comparison), but more that they’re anchoring themselves to a divine note, looking towards the conductor. Because there, dear friend – wherever that is – is where your beautiful song can rise. And I don’t know about you, but that brings me joy, because who doesn’t want to listen to beautiful music wherever they go? That music is in you, dear friend. Go find your tuning note, and play your song! Rev. 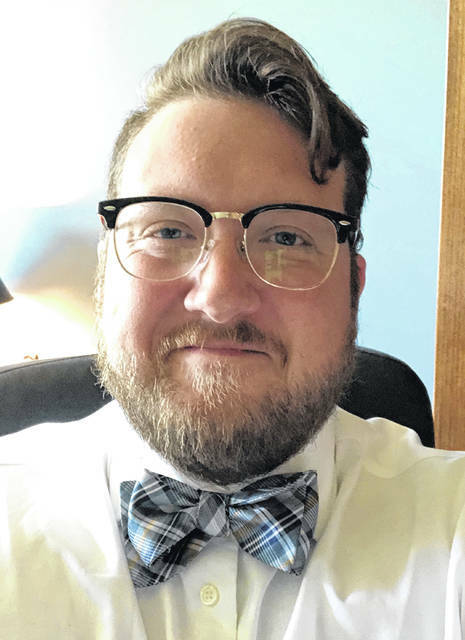 Adam W. Anderson is pastor and head of staff at Old Stone Presbyterian Church. For more information, go to www.oldstone.org.